Paranoid ideation has been acknowledged as an important thought process that is present in adolescents as well as in adults. Adverse childhood experiences, such as shame and hostile criticism from parental figures or significant others seem to have a fundamental role in the manifestation of paranoid ideation in youths, similar to what has been observed in adult populations. The current study aims to explore the role of shame, self-criticism and the experiences of shame in childhood in predicting paranoid ideation. 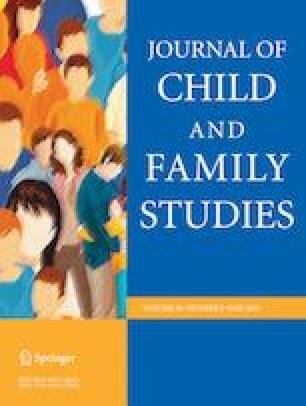 A representative sample of 1657 adolescents, with ages between 14 to 18-year-old, attending public and private schools in S. Miguel Island-Azores (Portugal) participated in this cross-sectional study by completing a set of selfreport questionnaires to evaluate paranoia, shame experiences and self-criticism. Girls presented significantly higher scores on External Shame, Self-criticism, Persecutory Ideas and Mistrust Feelings when compared with boys, but effect sizes were small. Findings suggested that models including shame, self-criticism and shame experiences can explain between 26% to 48% of paranoid ideation, particularly in its more severe form, persecutory ideation. Generalization of the causal relationships should be cautioned due to the cross-sectional nature of the study. The current study raises a discussion about the relevance of developing preventive strategies focusing on parental education and social support, in addition to fostering socio-emotional skills in youths. The authors would like to thank Joana Rodrigues for assisting with the preparation of this manuscript. C.B.C. : contributed to the conceptualization and refinement of research design, coordinating data collection and methodological aspects concerning this paper, and manuscript revisions. M.S. : contributed with literature search and final revision. C.M. : conducted the literature review, selection and performance of statistical analyses, manuscript drafting, revisions and editing of the final manuscript. J.C.: contributed with literature search, and final editing. All procedures performed in studies involving human participants were in accordance with the ethical standards of the institutional and/or national research committee, and in accordance with the 1964 Helsinki declaration and its later amendments or comparable ethical standards. Informed consent was obtained from all individual participants, or their legal representatives, included in the study.